2014 was Nick Lorenz’s first time as a member of the Darling Ducklings sales team for the Windy City Rubber Ducky Derby, but you’d never know it by his results. In his first year selling ducks, Nick sold an astounding 2,090 ducks – a record setting amount for an individual on any team. Nick, 20, of Peotone has been a Special Olympics Illinois athlete for 12 years, competing in bowling, bocce, swimming, track, softball and basketball. He’s an avid Chicago sports fan – always cheering on the Bulls, Blackhawks, White Sox, Cubs and Wolves. When he’s not competing, Nick volunteers at his church, helps his uncle at a food pantry and assists at LWSRA, the special recreation association where he competes. This year, in addition to all his other activities, Nick will be the Duck Ambassador for the Duck Derby, which takes place on Thursday, Aug. 6, in downtown Chicago. 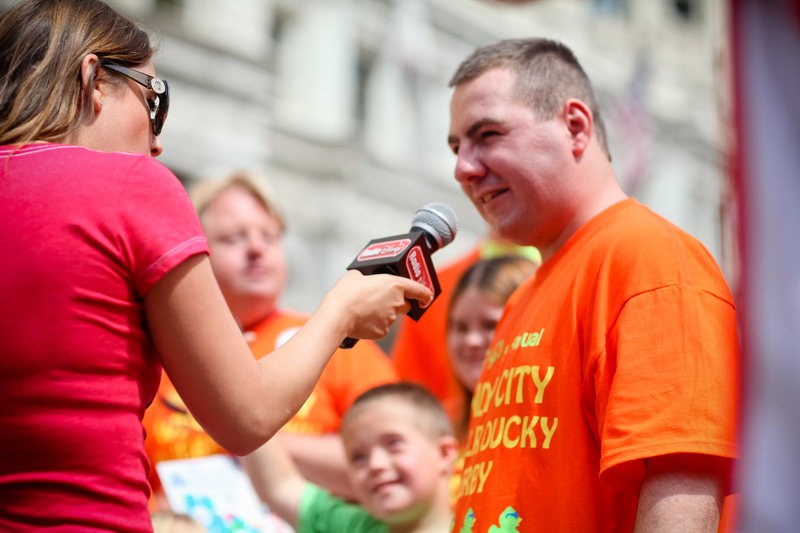 In his role as Duck Ambassador, Nick will represent Special Olympics Illinois at the Duck Kick-Off Party, Summer Games and other events throughout the summer. He’s also featured in the adoption papers as well as on our Duck Derby website. He will still be an active member of the Darling Ducklings, trying to beat his record from last year! If you’d like to get involved in this year’s Duck Derby by starting a team, adopting a duck, becoming a sponsor or volunteering, please contact Krissy Wollak or go to www.chicagoduckrace.com.